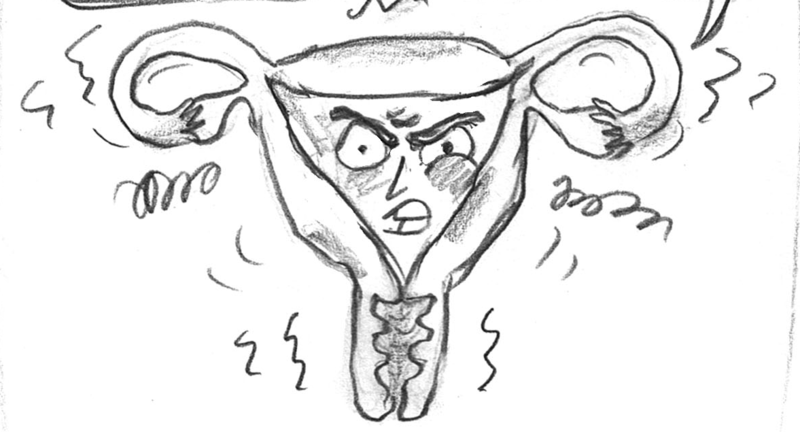 The Irritable Uterus: What does that even mean? Home / Preg-U / Resources / Contractions 101 / The “Irritable Uterus”: What Does That Even Mean?! 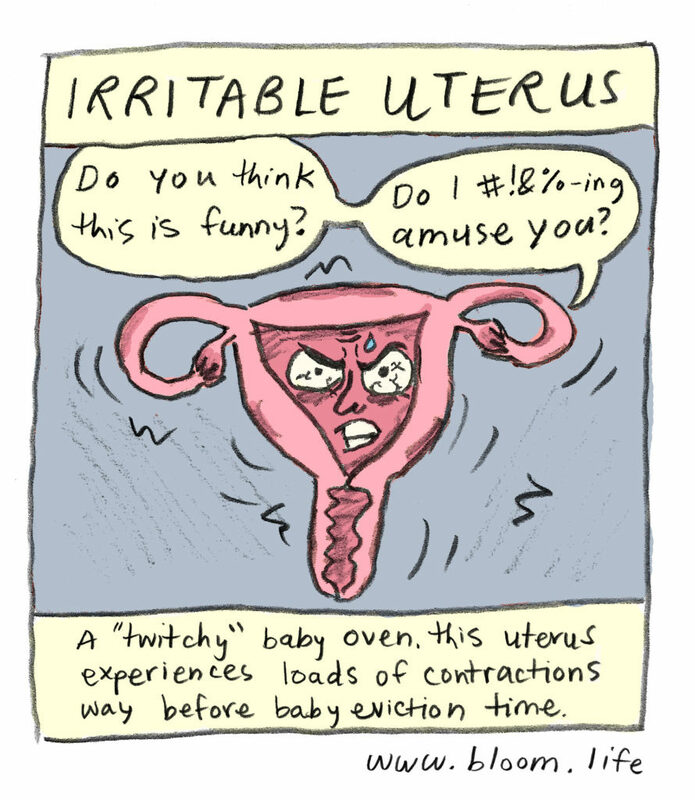 The "Irritable Uterus": What Does That Even Mean?! Previous: Who the Hell is Braxton Hicks? 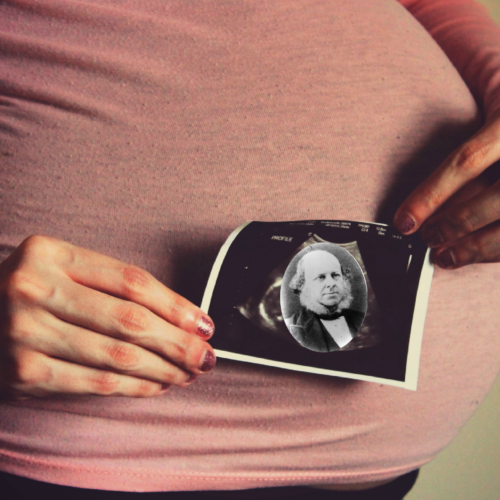 And What is He Doing in My Uterus? There are a lot of fun, ridiculous terms thrown around in pregnancy but my personal favorites is: irritable uterus. In pregnancy, this phenomenon of irritable uterus (also called “uterine irritability”) is used to describe non-labor inducing contractions that occur frequently, sometimes painfully, sometimes painlessly, without any real consistency or pattern. They are not true labor contractions in that they don’t lead to cervical change, a requirement for labor and ultimate baby expulsion. This big ‘ol muscle is simply twitching. Annoying, yes, but often harmless – a result of something as basic as dehydration, stress, or even a full bladder. Irritable Uterus is not true labor contractions. They can occur frequently, sometimes painfully, sometimes painlessly, without any real consistency or pattern. Should I be worried about contractions caused by uterine irritability? One study showed that a group of surveyed women, who exhibited contractions due to uterine irritability, had a higher percentage of preterm births as compared to the general population (18% vs. 11%). But, beyond this weak association, there isn’t any solid evidence showing a direct causal link between a twitchy baby oven and babies born before 37 weeks. This is not to say there is no link, but rather a need for better data. Initiation of labor and the role that the uterus plays remains relatively mysterious. We simply do not have the data to understand how these seemingly benign contraction patterns may lead to complications like preterm birth. Where did the silly name “irritable uterus” even come from? Of course, as wont to doctors of the day when describing lady issues, it all comes back to our mental state. A solution to treat the pain from the irritable uterus of 1830? Four to six leeches. So, with this history in mind, why is it so hard to find a better adjective? Is the uterus truly “irritable” when it is in this state? What does your irritable uterus say? Looking for a better way to keep an eye on your irritable uterus? 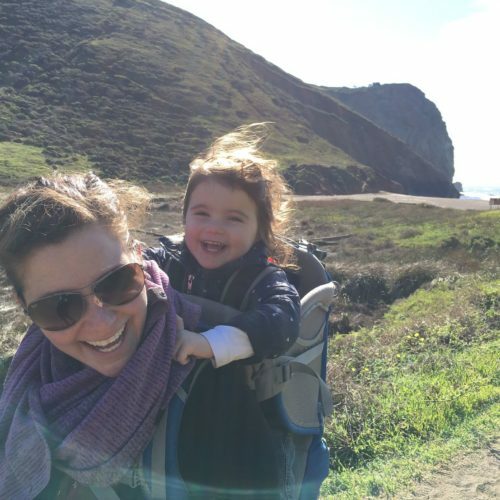 Check out how Melissa used Bloomlife to get to know her contractions – what they meant, how to quite them down, and how to prove to her care team that she wasn’t nuts. Special thanks for our friend, Rebecca Roher, an awesome comic artist extraordinaire. Be sure to check out her fantastic comic Mom Body.